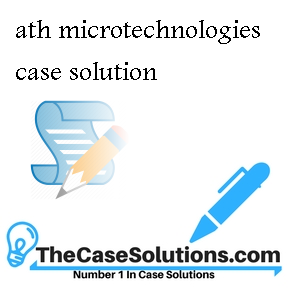 Home >> Finance Case Studies Analysis >> ATH MicroTechnologies Inc. The growth phase from 2001 to 2002 was good; however, the company had incurred huge losses in the year 2002. The company had focused on its goal of increasing the target share for the company. However, most of the products of the company were not approved and this resulted in the research and development costs being expensed which resulted in the huge losses in 2002. However, growth had been achieved and sales had also increased. As shown in the spreadsheet that most of the ratios such as fixed asset turnover, gross margin and cash turnover had also increased. However, the performance was not according to the set targets and half of the bonuses were paid to the employees. The capitalization ratio of the company had also increased from 241 % to 360 %, which shows that the debt significantly increased in the capital structure of the company. Furthermore, the management should have introduced certain mechanisms in each department to reduce the discretionary expenditures. In response to the huge losses that were incurred in 2001 and 2002, the management of ATH had established this program known as push to profitability. Strong incentive plans were developed in this program to motivate the employee to achieve the target levels of profitability for the company. 20 % of the salary of the employees would be paid as cash bonus and two tickets for a trip to Hawaii would also be given to the employees along with all the expenses. However, the important thing to notice here is that all of these incentives were based on the achievement of the profit goals. The performance of the employees was impressive and in 2003, the company reported around $10.6 million in net profit. All the plans were successful; however, after the end of the Hawaii trip, the number of customer complaints started to increase and more than this, the product returns were also rapidly increasing.
. The main target in this division for the employees was to achieve certain profit levels. All of the employees focused on just the profitability of the division and this was due to the fact that the incentive system was designed in a way which only told the employees to focus on the profits of the company. The incentives had no link with the quality of the products and the employees undermined this factor and focused on cost cutting to boost the revenues for the division to ultimately increase the profits for the division. Also, the managers had failed to fulfill their responsibility to conveying this message to the employees. The managers are the core layer in the organization who should have informed all the employees regarding the costs associated with the poor quality of drugs. If we analyze the ratios of 2003, all the ratios calculated have improved, except the cash turnover ratio. The capitalization ratio had also increased, and the research and development expenditure had also reduced. However, still there was no measure regarding the effectiveness of research and development.